Having serviced the energy industries for five decades, Nylacast understands the many challenges presented by the arduous offshore and subsea environment conditions, with materials and solutions custom developed to combat them. Working closely with customers to deliver the highest advantages through materials technology, Nylacast offer a full engineering service from initial concept, design and chemistry through to end products. This includes solutions which are low weight, low friction, corrosion resistant, dimensionally stable and with a high resistance to wear and abrasion. The use of Nylacast polymers presents benefits unachievable by traditional materials such as steel, iron or bronze. Nylacast will have a team of dedicated industry engineers on Stand 115 at the 2019 Subsea Valley Conference who will be available to discuss specific project or product ideas, needs and requirements. 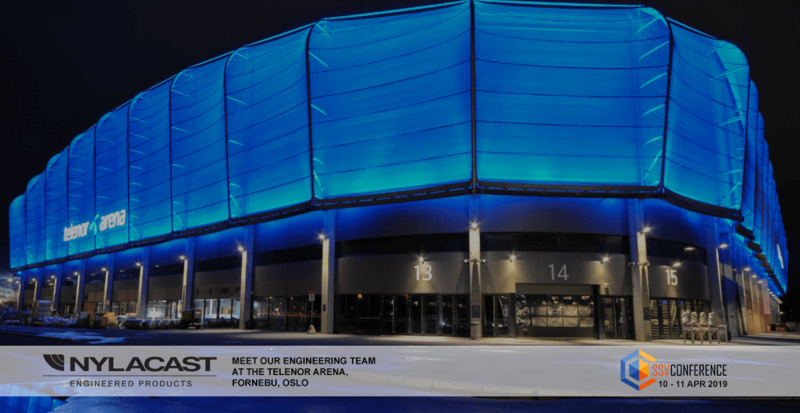 The Subsea Valley Conference takes place at the Telenor Arena in Fornebu, Norway between the 10th and 11th of April. For more information and to book your place visit the Subsea Valley Conference website.